The newest system to join the Bison product lineup . . . HangTime! 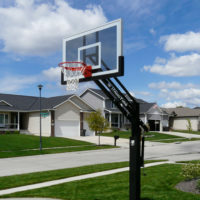 An upper-scale basketball system for your home, HangTime is available in adjustable height 5″ and 6″ square poles that include spring lift mechanisms to make rim height adjustment easy and quick. 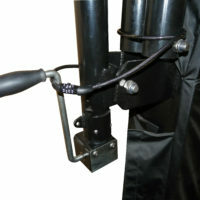 All HangTime basketball systems include fitted pole padding and molded backboard padding for increased safety. 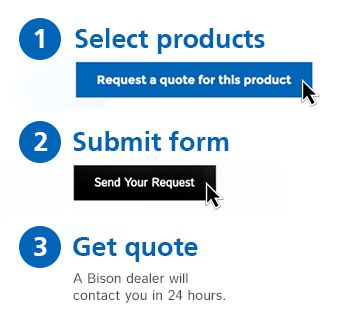 Please call our friendly Product Specialists at 800-247-7668 or find a Bison dealer near you. 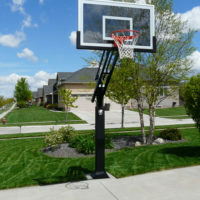 Homeowners can rest assured that Bison’s leadership in institutional-quality equipment translates to providing the best driveway and home court equipment available for families as they grow and change. To help you choose from our many premium residential basketball systems engineered to meet a wide variety of requirements, please review How to Select a Basketball System for Your Home.